Note: This article has been updated to include events from September to December 2018. 2018 has barely begun and already the 3D printing trade show calendar is already well underway. New industry announcements have been announced at the highly-anticipated CES trade show in Las Vegas, while the fifth edition of the 3D Printing Medical Conference is due to take place in the Netherlands in just a few days. But with so many events to choose from, how can you decide which events to attend? That’s why we’ve put together a list of the top 8 trade shows that you should visit over the next three months. Inside 3D Printing has established itself as the leading professional 3D printing trade show and conference series. The events will be held in multiple locations throughout the year, including Singapore (below), Sydney, Sao Paulo, Seoul, New York and Tokyo. The Düsseldorf trade show and conference will take place over four days (in conjection with METAV) with the conference scheduled from 21-22 February and the trade show from 20-24 February. The conference will primarily examine the future of additive manufacturing including its impact on business models and value chains, as well as the implications of Industry 4.0. It’s therefore the perfect place to learn more about the implications of additive manufacturing and digital transformation on your business. The trade fair itself focuses on digitisation as a driving force for the application of additive manufacturing technologies in production. Look forward to learning more about the latest innovations, research efforts and technological developments affecting all areas of additive manufacturing. 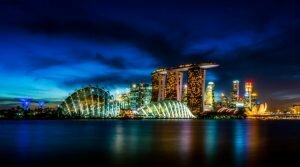 Taking place shortly before the event in Düsseldorf, Inside 3D Printing Singapore also promises to showcase the latest technologies in 3D printing. Expect a range of seminars and exhibitions focusing on the developments in the 3D printing industry from Asia and around the world. Details of the conference agenda have already been released, with speakers from HP, SLM Solutions and more. AMX was launched in 2016 with 70 exhibitors, and has since grown to over 100 exhibitors and 2000 visitors. 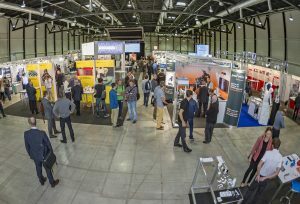 The trade fair is aimed at developers, designers and product managers in manufacturing, and leading suppliers and service providers in the industry are now regular exhibitors at the event. You can look forward to nine focus topics on the future of additive manufacturing, with exhibitors showcasing the latest in design innovation, rapid protoyping and tooling, as well as new materials – from new PEEK injection moulds right through to ceramics. 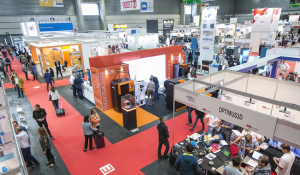 Now in its eighth year, RapidPro is a well-established trade fair in the Benelux region. It focuses on all aspects of 3D printing, from prototyping to production and product development, particularly as it relates to industrial applications and tooling. You can expect to see both AM and non-AM (including CNC milling) showcased at this year’s event – with focus also going to software, virtual prototyping and metrology. The conference programme is designed for you to learn how to integrate these development into your processes. Launched in 2007, the China-based trade show has become the go-to event for the Chinese mould and die industry. It also has a dedicated 3D Printing Asia zone, focused on rapid prototyping, CAD/CAM software, 3D laser engraving and other AM-related areas. Expect to see the key players in 3D printing – such as EOS – exhibiting at this year’s event. A wide ranges of industries will be represented, such as automobile, aerospace, consumer goods, electronics and much more. 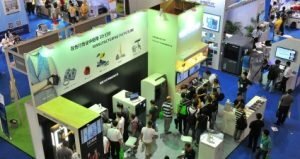 With over 24,000 visitors last year, 2018’s Asiamold promises to showcase the latest industrial developments in the Asian 3D printing market. 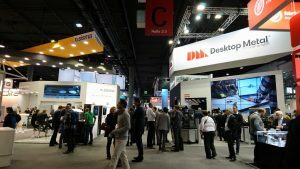 3D Printing Europe hosts more than 220 companies from 57 companies, showcasing a range of technological innovations from hardware to software and materials. You can expect to learn more about the potential of 3D printing across a range of markets, as well as a showcase of some of the latest technological advances in the industry. This year’s B2B conference will focus on metal 3D printing, innovations in biomedical and 3D printed electronics. Hannover Messe is a leading industrial trade fair focused on industrial technologies. For the 3D printing industry, the fair includes a ‘Digital Factory’ zone dedicated to IT solutions and integrated processes. This year’s event focuses on the developments revolutionising the digital transformation of various industries – in short the emergence of Industry 4.0. However, with approximately 6500 exhibitors, it would be virtually impossible to see them all within four days – so make sure you visit the Digital Factory zone for more on additive manufacturing. RAPID + TCT is the leading US event showcasing innovations in 3D printing, and in particularly manufacturing. It covers the development of new technologies, materials and machines. Workshops covering metal AM, medical 3D printing (bioprinting) and presenting the business case for additive manufacturing. Also expect to learn using 3D printing technologies in production – specifically how to reduce time to market and how to improve efficiency and part quality. 3D Printing Live is a one-day conference with topics dedicated to exploring the ways in which additive manufacturing can be used by manufacturing companies ‘in every stage of the product life cycle’. With over 25 influential speakers and more than 200 participants, 3D Printing Live promises to be the perfect place to hear case studies on various topics concerning additive manufacturing, and have all your 3D printing-related questions answered. From topics concerning design solutions to serial production, you are sure to learn more about how to leverage additive manufacturing opportunities for your business. MMTS is a leading manufacturing trade show focused on tooling, metal working and other manufacturing technologies – including additive manufacturing, automation and software solutions for manufacturing companies. Over the course of the three-day event, you can look forward to numerous panel discussions and keynotes, and connecting with other key players in the industry. Rapid.Tech + Fabcon 3.D is an international trade show and conference for additive manufacturing. It showcases the latest innovations and applications for AM, including rapid prototyping and end-part production. Last year’s event – the 14th edition – attracted 4,800 visitors, making it one of the key additive manufacturing trade shows to attend. Some of the major players in the industry will be exhibiting at the event, including Wacker Chemie AG (ACEO) and EOS – so look forward to witnessing first-hand the latest innovations in additive manufacturing. Now in its fifth year, 3D Print is dedicated to all aspects of additive manufacturing. With last year’s event attracting almost 5000 visitors and close to 200 exhibitors, the trade show is certainly one not to be missed. You can expect to see exhibitors showcasing the latest in 3D printing hardware and software, as well as materials and post-processing services. The event also proposes numerous conferences and workshops. Addit3D is a trade fair for additive manufacturing, and is held alongside BIEMH, a biennial trade fair dedicated to the machine tool industry. That the two events will be held side-by-side is no coincidence – the focus of the BIEMH trade fair this year will be the innovations and challenges of Industry 4.0. This year, Addit3D will be particularly focused on showcasing 3D printing equipment and machinery. However, you can also look forward to interesting examples of 3D scanners, software and metrology. For those interested in the conference programme, this will highlight the challenges facing the industry, and potential solutions to enhance the product value chain. We included Inside 3D Printing events on our previous list of 3D printing trade shows to visit this year. 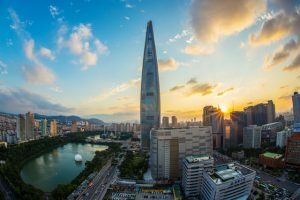 As one of the leading professional 3D printing trade show and conference series, the Seoul event promises to showcase the latest technologies in 3D printing as well as a series of conferences led by industry experts. AMPM is a trade fair focused on metal additive manufacturing, with a particular emphasis on metal powders. This trade fair is perfect for industry professionals looking for more insight into metal AM, and to learn more about the developments and innovations currently taking place within this field. Additive Manufacturing Conference is A day and a half event at IMTS, the largest manufacturing technology show in North America. The conference is dedicated to additive technologies for functional, end-use applications with the aim of sharing practical knowledge and approaches to implementing additive manufacturing. Additive Manufacturing Conference at IMTS will cover a range of topics, including hybrid manufacturing and large-scale 3D printing. With presenters and exhibitors from the likes of HP, Desktop Metal and Hybrid Manufacturing, the event promises to be an ideal place both for current and future adopters of AM technology to learn about the latest developments in the field. The TCT Show is the UK’s leading trade show for additive manufacturing, engineering technologies and design. 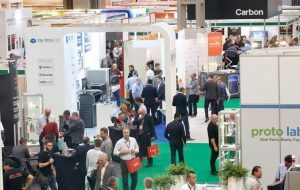 The trade show brings together industry experts, delivering business-critical insights into the latest developments in 3D printing technologies, materials and software. With 10,000 professionals from 60 countries and 20 key industries, TCT Show features over 60 speaker sessions and 300 exhibitors – including AMFG. It’s also a chance to witness cutting-edge product launches, network with industry leaders and find solutions to your manufacturing challenges. RM Forum is a seminar and exhibition event with the central point of additive manufacturing and its use in high-performance industries like aerospace, oil & gas, automotive and racing. With a number of industrial decision-makers from technical, design and engineering fields, RM FORUM seminar will be addressing themes ranging from design and materials to software and standardisation in additive manufacturing. The event also includes the exhibition area, with major AM companies showcasing their technologies and materials. Add+it is a symposium for professionals and academics in the field of additive technologies. The 4th edition of the Add+it unites almost 130 experts in 3D printing, willing to share their knowledge on the technology and discuss AM trends and the current state of research, particularly in the area of polymers. 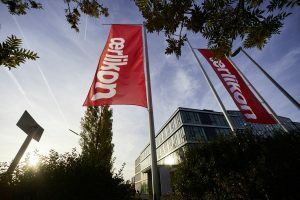 The second Munich Technology Conference (MTC) on Additive Manufacturing is organised by leading global technology solutions company Oerlikon and focuses on the industrialisation of additive technologies. The event offers a great opportunity to discuss the latest developments in AM industrialisation, including success stories, challenges and the key drivers. It offers a platform for political, industrial and academic leaders to interact and learn about AM innovations and where the industry is heading. IN(3D)USTRY is a trade show aimed at revealing and promoting the use of 3D printing technologies throughout the industry. The event promises to explore the real applications of additive manufacturing and their impact on industries. Visitors can learn from the best AM adoption strategies how to successfully integrate the technology in the industrial processes. No 3D printing trade show list would be complete without formnext, the biggest additive manufacturing trade show in Europe. 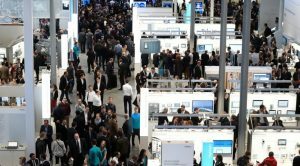 Formnext offers a platform for companies to present the latest in additive manufacturing technologies, materials and trends, and is a must-see event for those interested in witnessing the very latest industry trends. Key players in additive manufacturing will be showcasing groundbreaking AM solutions and applications, including AMFG. The event will also cover a wide range of topics, from the latest advancements in product development and industrial manufacturing to design, AM education, and legal questions. The formnext trade show is a perfect platform to gain the latest expertise in 3D printing whilst forging connections and discovering new manufacturing possibilities. The third Metal Additive Manufacturing Conference is dedicated to the discussion of industrial perspectives for metal additive manufacturing. The Metal Additive Manufacturing Conference hosts for the third time the high-profile community of industry experts, engineers, developers and academics. The conference will be addressing a broad range of topics, from materials and design to post-processing and use cases. It is a must-attend event for those who want to keep up to the latest advancements and opportunities in metal 3D printing. 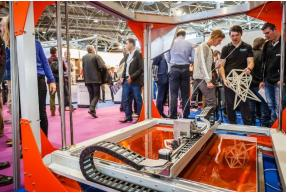 While far from an exhaustive list of 3D printing trade shows, each of the above events benefit from large and relevant audiences within the industry, showcasing the latest technological developments in 3D printing. Whether you’re looking to learn more about what 3D printing can do for your company, or are looking to increase your profile, each of these trade shows are sure to offer valuable learning and networking opportunities to help you make the move into integrating AM technology into your workflows.